I received an email asking how I stay in that peaceful and connected state of mind. As my family & friends can attest I don’t always stay in this state, ha! But I do navigate back to it more easily than I once did. Clarity use to be like a rare four leaf clover to me! This lovely woman shared how she stumbled onto my TAUK website, then onto Speaking with Self and had a profound recent experience with the energy of Dolores Cannon. This made me wonder about how you and others get or stay connected to your inner guidance. 🙂 I’ve removed the personal parts to this email but will share with you what works for me and would love to hear back what works for you! We all learn from each other! Once I (or others) have worked through our formula I then use my TAUK chart and pendulum to receive a message. With my vibration and frequency adjusted I then get very pure and loving messages and insight back. It’s a win-win! 🙂 TAUK is just “a” way to elevate. Others use meditation, visualization or their own process. I’ve known people who have similar experiences to yours of those several days of clarity only to have their ‘old’ reality come back. I think that’s because learning how to get back to the blissful, connected state is part of our journey from waking up from a LONG slumber of forgetfulness. The good news is so many others like you and me are waking up now and can see this new earth that is already all around us. 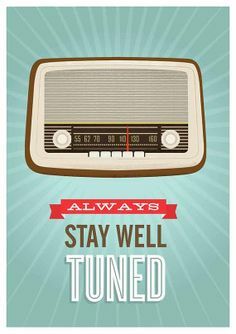 We just have to adjust our frequency ~ like a radio and tune in! Copyright 2014 © Suzanne Spooner. All Rights Reserved. You may copy and redistribute this material so long as you do not alter it in any way and the content remains complete with the links below. lovely explanation, Suzanne! I much enjoyed reading this, and I totally agree. The key is in keeping the vibration as high as possible, thus giving one’s self that utter clarity found in God/Source. And being humans going through the Great Shift, it takes practice, practice and more practice! I myself use many modes, ie. meditation of various kinds, prayer, quigong, reiki, yoga, etc….but it’s quite another thing to access that skill/knowledge on-the-spot! That’s where training comes in handy. Thank you! I agree with you, practice is the key! LOVE this: I myself use many modes, ie. meditation of various kinds, prayer, quigong, reiki, yoga, etc….but it’s quite another thing to access that skill/knowledge on-the-spot! That’s where training comes in handy. interesting that I opened this this morning……………just what I needed. The holidays always bring a bit of memories that sometimes can put one in a funk…………….just had that experience. For the most part, life has begun to turn around. Symbolically when that giant ball turns and falls down in Times Square I am going to feel totally liberated from 2014. ahahaha What a year!!! What a challenge!! What learning………in the end……..it was good stuff.